Hello.. This time, I am introducing to you a cookbook! Are you not very comfortable in baking, like me? Do you rely on cookbooks to try new recipes and get tips? Then, this one is for you. 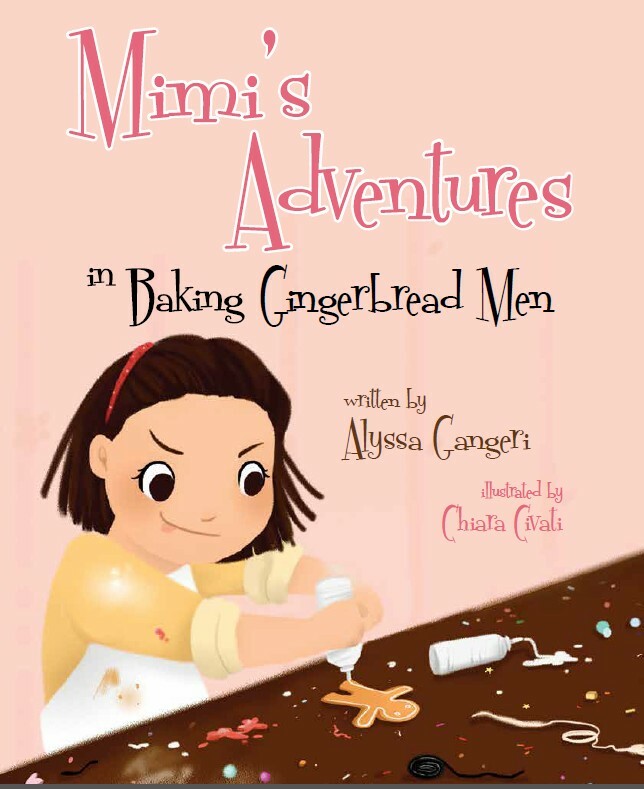 Mimi's Adventures in Baking Gingerbread Men is the third book in the Mimis Adventures in Baking series. I believe illustration is key to the success of a children’s book. Most of the time they are going to be more intrigued by the illustrations than they are by what the book is actually about. Let’s think about it, you walk into a book store and a child is not reading every book they see they are gravitating towards what illustration speaks to them. Which one pops? Which one is more colorful than the rest? Which one says “Choose me! Pick me!” This can become difficult for a lot of authors because you have poured your heart and soul into this book for probably years, and you have always envisioned your characters a certain way. 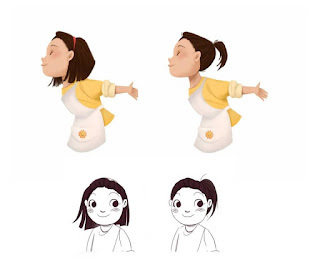 Here lies the hard part… allowing an illustrator to take control and bring your story to life. I think choosing a style of illustration that fits your theme is very important, but finding the illustrator that the story speaks to is so much more important. Illustrators are like authors in a different form. They need to be able to be given the same freedom the author was given. Allow your illustrator to bring your story to life because those pictures are what will grab a child’s attention immediately. Each one of my books have been such a great process for me because after the second book I started seeing the character development that was transpiring. Once the third book arrived I almost felt as if Mimi had become a person with real feelings and true emotions. 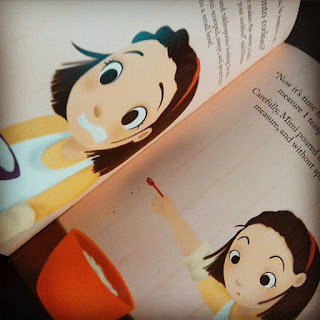 My illustrator, Chiara Civati, absolutely fell in love with the character and the book which made my process so much easier. She saw what I saw, she understood her character and with the power of her pencil she can change her from being a fun happy go lucky little girl to a confused amateur baker. She creates a balance that I could have only dreamed of. Finding the illustrator that can bring that balance to life is what you need to look for. The excitement of becoming a published author can sometimes cloud your judgement to make a quick decision to get your book out and on the market faster. Do not under any circumstance make that mistake. Your book will be out and on the shelves forever (hopefully!) so the last thing you want is to look at your book and say “Oh, I should have done that differently.” You want to look at your book on a shelf with pride and excitement. The illustrations are not just decoration to the text. They enhance the story and emotions of each character. The setting encourages a child to go back to different pictures over and over, noticing new things, reading characters' emotions and interactions, and finding possible secondary subplots that are only told through the pictures. Below is one of the first sketches of Mimi when she was in the beginning stages. “Picture books stimulate a state of mind in children that words alone can't achieve”, says J. Richard Gentry in Psychology Today. Choose the illustrator that will create a miniature world where children understand what they are reading, and allow young readers to analyze the story. When children are having difficulty, the illustrations can help them figure out the meaning of what they are reading. With my books this is very relevant. I wanted to teach children how to bake in a fun and interactive way. 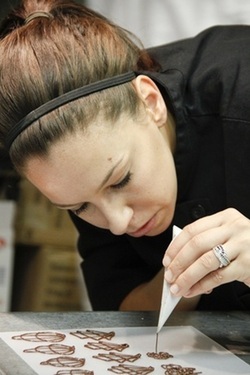 I believed that a cookbook shouldn’t just be picture, recipe, and procedure. I wanted it to be a fun story where the child can see Mimi doing it, and they can comprehend the text through illustration. Children are taught basic fundamental skills through picture books, so why not cooking or baking? I created a world where counting, following directions, math and measuring are fun… but not without the help of my illustrator! Writing a children’s book is fun and rewarding, but finding your missing half aka your illustrator is key to your success. Remember “A picture is worth a thousand words” … Choose wisely!